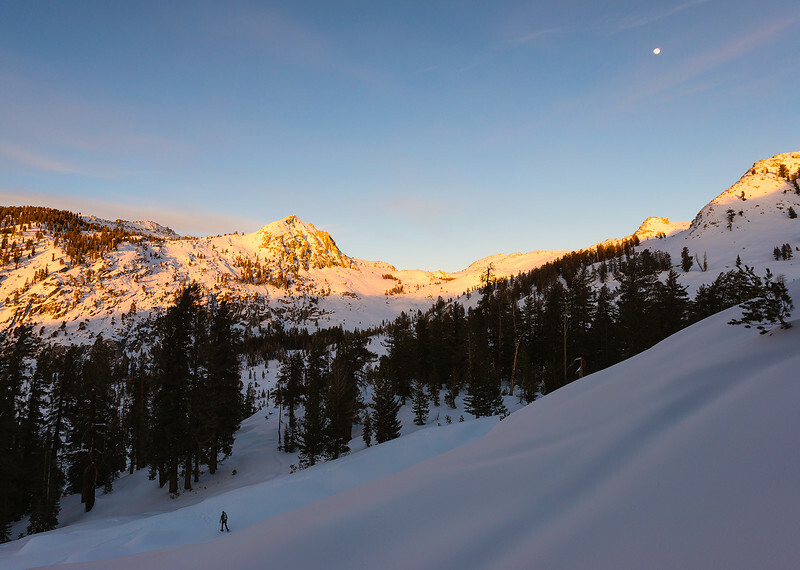 We took a 16 mile snowshoe route through the Sierra Nevada range in Sequoia National Park. During sunset the colors were fantastic. Lee is snowshoeing through a grove of trees, some of which are 2-3 thousand years old!